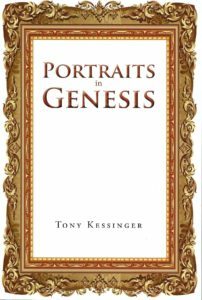 Portraits in Genesis: From Their Perspective is a fact-based account of key characters in Genesis. It is fact based in that the individuals mentioned really existed and encountered the circumstances reported in the narrative. The ages and dates are factual, but the individual character’s response to the circumstances they faced may or may not have occurred as reported. If you have ever wondered what some of the characters in the Bible might have thought about their experiences, you will want to read Portraits of Genesis: From Their Perspective. Tony Kessinger puts himself in the shoes of eight characters in the book of Genesis and develops a snapshot of the potential reaction each character might have felt or thought. Kessinger used the facts of Scripture and speculated about how those details may have impacted the individuals thought process. You will be both amused and bemused as the characters relate details of their life adventures in this fact-based literary account.